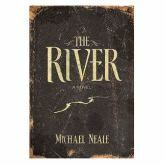 The Dove-award winning songwriter Michael Neale’s debut novel, The River, is getting its place on the shelves today, September, 18th. The River is an inspirational story about loss and redemption. With the fast pace, you should get ready to be drawn in quickly and to have a hard time putting it down. The story takes place in the Colorado Rockies and “The River.” Gabriel Clarke is mysteriously drawn to The River; he witnessed a terrible event, something no child should ever see, on The River when he was five years old, and his life changed forever. He withdrew into his own world and became mostly unreachable. You will read through his whole life, filled with pain and resentment, until something brings him back to The River. New York Times bestselling author, John C. Maxwell said The River will “…inspire readers to live a life they were destined for.” It is a story blended with metaphors, encouraging readers to imagine. Expect to find yourself evaluating your life about forgiveness, letting go of the past, and finding the courage to move on. It is obvious Michael Neale is an experienced preacher and a gifted storyteller. With vibrant and multilayered characters and settings, this is one of those stories to be told aloud. He must be aware of this, as he created a live performance, based on this book called “River Experience”; visuals and the soundtrack he recorded with Michael Whittaker for “The River” timed with his compelling narrative. It is a great story about coming of age, facing fears, and change. However, it sometimes feels as the writer tried too hard to make his point about The River’s role. Its spiritual significance was well made even without over using the words “The River”, capitalizing them at every mention, and confusing dreams with reality. But Neale is a freshman author after all. Have you read “The River?” Leave your thoughts about the book below.